Here at The Group Real Estate, a small time brokerage doing big things in Idaho Falls Real Estate, we love utilizing technology in our real estate workings. The reason for this speaks for itself. As we look at how many different real estate transactions are happening in Southeast Idaho Falls. We have embraced so many different ideas within technology and how it will help change our perspective on Real Estate. There are so many ways to create transactions within real estate, but just as times are quickly moving forward in all facets of our lives, real estate is the exact same way. As you go forward finding a realtor, or if you are a realtor and you are ready to do your own transactions with your clients, make sure that you go along with the times, as well. This will lend itself so much better for you. Here a re some ways that we are succeeding in using technology in real estate. We use a system to upload all of our transactions. As we put them online, this helps us have them at our beckon call. When we need to look for a transaction, or need information about a client, about the property, about the transaction, with paperwork or so, we can go to this website, look up any transaction, to which we can gather information from all needed paperwork. One other great reason for this, is that we live in a world where everyone is using their mobile devices. They are using them almost constantly on a day to day basis. We are always checking texts, scrolling Facebook, or playing Angry Birds. As we are doing this, notifications are running rampant on our phones. With these websites that we use, there are notifications in getting emails, documents being sent, and looking up info. 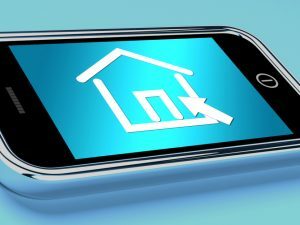 The notification can let the agent know what is going on, can let the client know whats going on, and will give a notification to the brokerage to know what is going on within the transaction. We use drones, photography, a matterport and walk through cameras. It’s not just one piece of photographic type technology that we use. We love using them all. The matterport gives us, and you especially, the 3D scan of the home. This lets you go to the website and take an actual, virtual walk through of the home. You get to walk around, see the walls, the decor, the furniture placing, etc of the home. If you are able to get great photographs of the home, this will help you sell the home that much faster. Other agents who are looking at your listings online want to be wow’d by the photos that you put online. When you put great photos online, it helps with the beautifying of your home. This will lend itself to an old school style of marketing, mixed with the new. Make sure your photos are great! 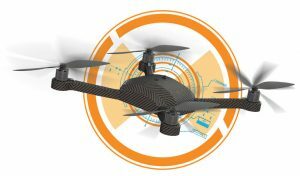 Drones are the next step in all of this. To gather some great, sweeping shots of the home, showcasing the land from a afar, from up above, and to even fly the drone though the yard, the home and around the surrounding trees, or what may, this will help the visual people out there. This is just about everyone. In a technological world, everyone loves to be on their phones, watching cat videos, going to the movies, binging Stranger Things on Netflix, and seeing the beauties we have outside. People love to see things. If you can bring beautiful photos, amazing sweeping arial shots, walk through shots, and 3D scans, you will have a much higher chance of making the sale. We love using Social Media in our business. Not only do we post homes on Facebook as a brokerage, but we have our agents always on there, posting their blogs, posting about their day to day, and posting their own listings. When they are doing this, it is helping hundreds, sometimes thousands, of people see what they are posting. This shows the outside world that you are able to bring in people to what you are showing, what you are doing, in your day to day, which includes posting your listings. As you are moving forward in your real estate business, make sure that you are moving forward with the times of the world. In a time of social media, big and loud movies, tv rampant everywhere, photos being your screen savers when you first turn on your computer, make sure that you are embracing these notions, and get in the technological world of real estate. It will drastically help your business.